Been worried about your old dog or cat lately? Is it too sad to see your pet not being able to walk and run at a fast pace like before? Feeling guilty over not being able to do much for him or her? There is no need to worry any more. When we bring home our pets, we all are aware that they will be with us for 10-15 years and then they will have to go away. The one thing we can do in their old days is to make their life an easier one. If you think of all the good times you have spent with your pet, then you would understand that we can never repay them for whatever they do for us. Making their life easier in their old age is a very small thing to do and all of us can do it. So how do you make your old dogs’ or cats’ lives easier? Let us find out. Arthritis is one of the most common problems both old dogs and cats face. Along with the condition, comes a lot of other issues like pains, aches and difficulty in moving. Cats love to go up at high places and snooze but older cats may not be able to make it at all. You can place a box at a high place or just move a chair to a place your cat loves. And then all you need to do is to lift them up gently and put them there. In case of dogs, you can buy dog beds with low sides. If your dog has been used to sleeping in a dog bed, he or she won’t have a problem at all. But if you are buying a bed for the first time for your dog, then you need to give your pet some time to get habituated to the same. Once your dog understands how comfortable it is to snooze at a bed meant only for him/her, he/she will never leave that place! If your dog or cat has back problems, then you can buy dog bowls with racks. These can be adjusted easily and make feeding time much easier for your dog or cat. Cats and their love for litter boxes is legendary. However, older cats need litter boxes with low sides or one with more room inside. 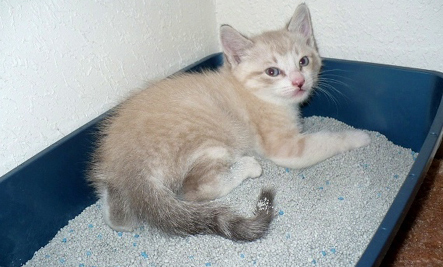 Provide your old cat a bigger and better litter box with low sides and he/she won’t have a problem anymore! Give your old pet lots of water. Your old dog or cat may not feel like getting up again and again for drinking water even though they will be thirstier than ever before. Place the water bowl near them and keep it filled at all times. If the water bowl is placed too far away from them, then they may not drink as much water as they should. Keep them dehydrated at all times instead. 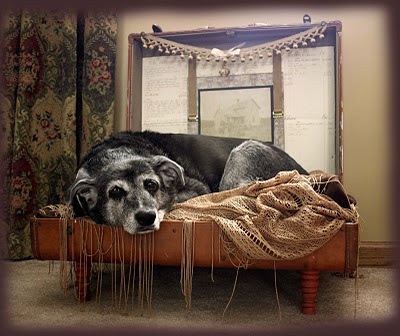 Who says that your old dog cannot travel with you? Ramps and stairs are there to make it easier for your dog to travel. There are also body harnesses and wheelchairs for dogs. And there is off course the option of carrying your dog all by yourself. And all pet parents know that it is the best one. Taking your old dog on walks may not be as frequent and as fun as before. You may have to take him/her out much less now. Make life easier for your dog by buying a pet stroller! Unfortunately, in India these are available at online websites only. You can either buy one or you can use your child’s old stroller. You can even borrow one from your friends or from family members. Just look at the picture above and get inspired! Old dogs might lose bladder control sometimes so please don’t get upset with your pet if they make a mess at your place. Explain to them gently that this is not how to do it and take them out.